La Belle Elaine’s Bridal is the only wedding dress store to have its own bridal accessories and bridal jewelry boutique in Seattle! 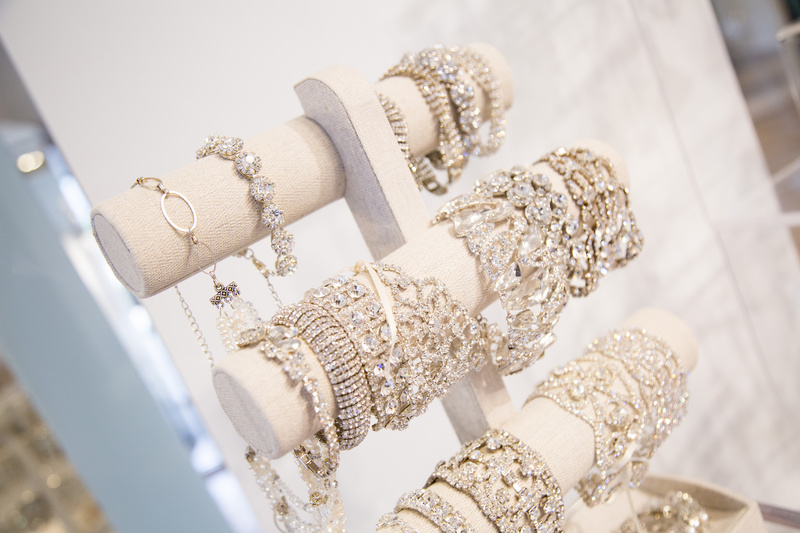 Once you’ve chosen your dress, our bridal consultants can help coordinate your accessories and jewelry to give you the perfect look on your special day. 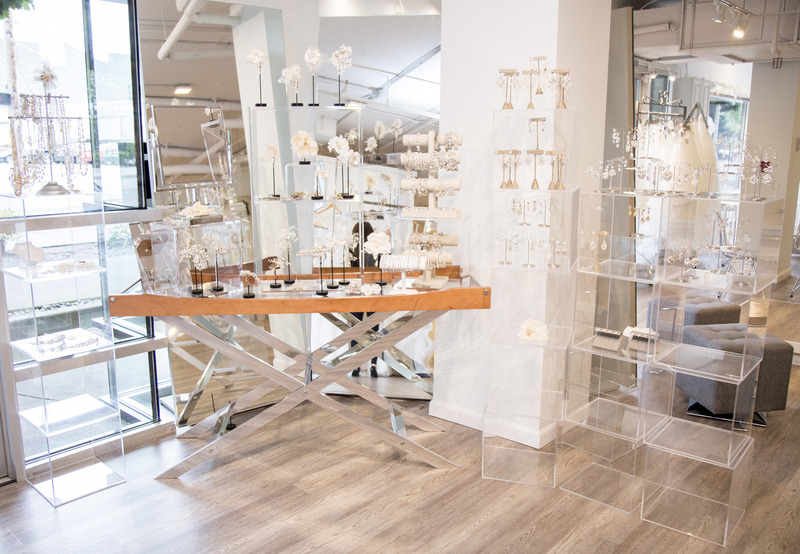 Or, you can even make an appointment with our own in-house designer, Sally Crew, of Sally Crew Bridal Accessories, provides her valuable one-on-one styling expertise exclusively to La Belle Elaine’s brides. 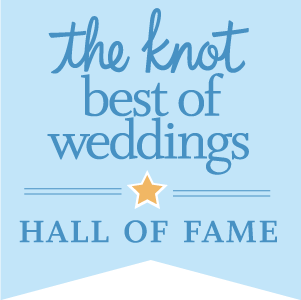 Sally’s extensive collection includes glamorous headpieces, boho-chic flower wreaths, veils, earrings, necklaces, bracelets, and sashes. 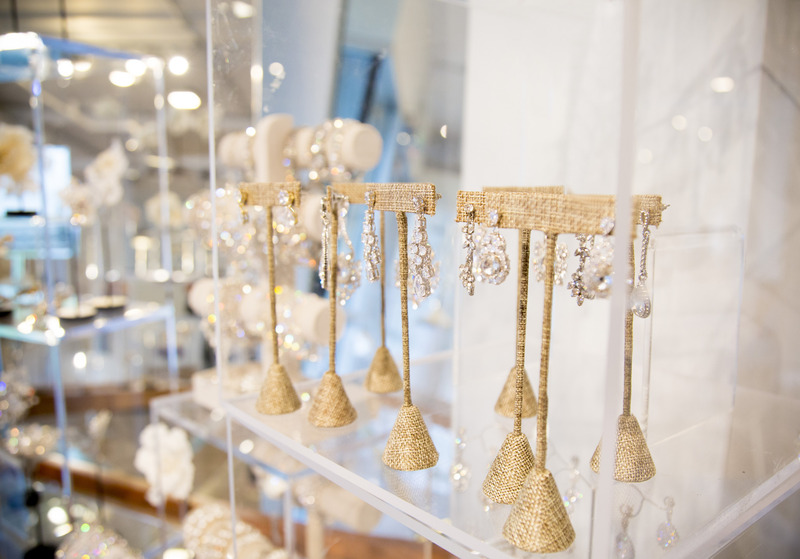 At La Belle Elaine’s, bridal accessories and jewelry are not an afterthought! We’ve created this fabulous in-house boutique so you can put the finishing touch to complete your entire vision, whether you’ve purchased your dress in our salon or elsewhere.